When choosing an olive oil or cooking oil, the most common factors to contemplate include flavor, healthfulness, usage occasion and cost. Is flavor variance ok or not? How much heat will be used and for how long? Will attention be called to the ingredient on the menu description? Is it meant to demonstrate quality, flavor, health or all of the above? 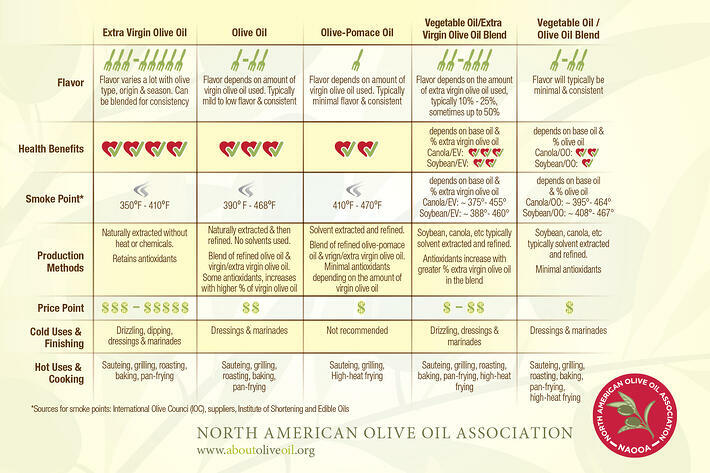 Click here to download the full comparison matrix of different olive oils and blends and find the best fit for your needs! Olive oil smoke point? Don't sweat it! Olive oil on high heat - is it safe?